One of his friends is the curator of Cubitt Art Gallery who run a project called "Everybody Draw" where they visit primary schools with big sheets of paper and get everyone to draw on them. You can see some examples on the Everybody Draw blog. For the game jam, we were tasked with making games from the output of the most recent Everybody Draw - ideally age-appropriate for the 5-7 year olds so they could play the games that were produced. After sorting through the huge number of scanned images I decided I'd try an old Golden-Axe style side scrolling "beat-em-up" but as it's for kids it's less about hitting things and more about ice cream. (One has to try to be positive). The attacking aliens theme came about from the wonderful Lovecraftian alien-with-a-hundred-eyes. It's a shame I wasn't able to make the second day or I'd have put some more effort into the animations (make that train move across the background, and there's so much scope to animate the many-eyed-alien....). I might try and polish it up a little at a later date. 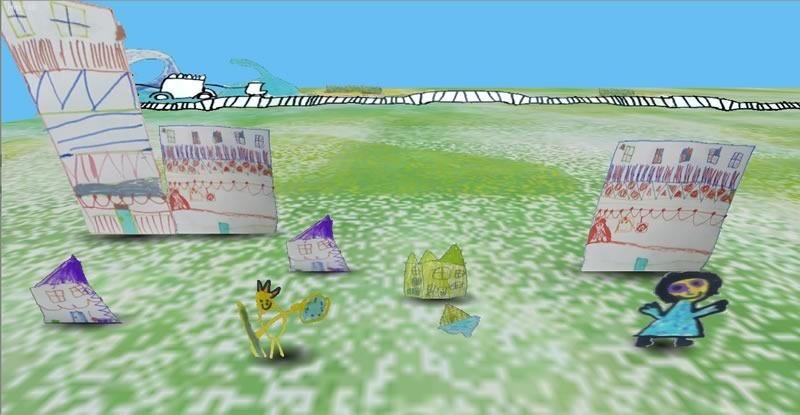 Now these games should manage to entertain a few children, but hopefully also on seeing their drawings turned into games it might just inspire some to give it a go themselves. Consoles and modern PCs don't lend themselves quite so quickly to making your own games as the Spectrum or BBC micro might once have (bring back magazines with game code to type in, eh? ;)) but with the proliferation of game making frameworks there's no reason these kids shouldn't be able to make their own. 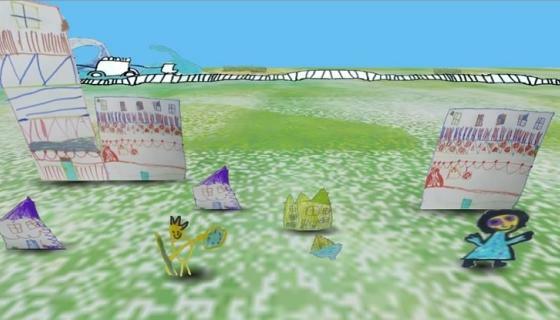 You can play Golden Cone here and you can see all of the games made for the jam here.